Jet lag occurs when anyone traverses time zones. The greater the change in time zone, the more difficult it is to accommodate. As a rule of thumb, people adapt by one hour for every day that they are at the new time zone. The time for adaptation can be halved by judicious use of melatonin and exposure to light. 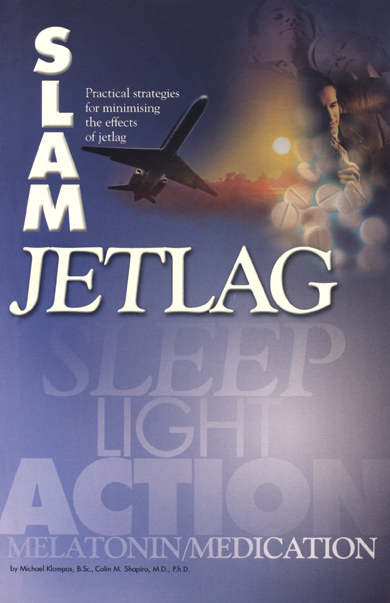 The members of this clinic have written a book entitled SLAM Jetlag which is a pneumonic for Sleep, Light, Action, Melatonin/Medication. Recently there is an important new development in the form of a pair of spectacles that can significantly help with the accommodation to Jet Lag and this clinic has played a significant part in the development of this strategy.